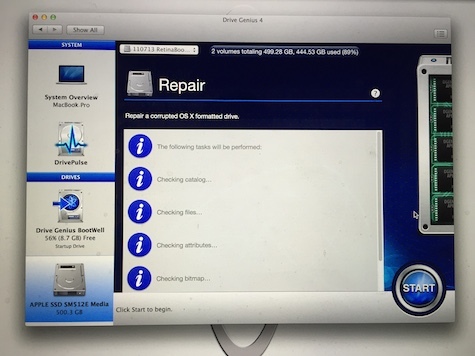 Drive Genius 4 is a suite of repair, performance, and protection utilities for the Macintosh and connected hard drives. 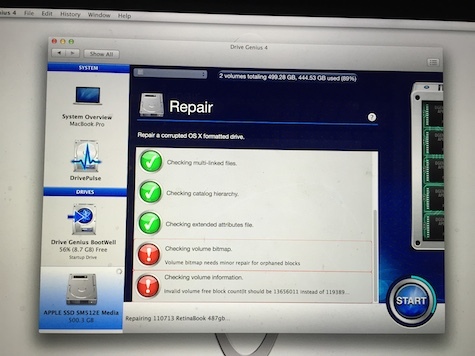 Its software resurrects Macs that will not start under their own steam. The first time you need Drive Genius 4, its $99 U.S. price will be a bargain because you will be desperate and you will be overjoyed to have your Mac back in service pronto. Stuff happens, and when it happens without warning your computer will be sick and you won’t know how to make it healthy. 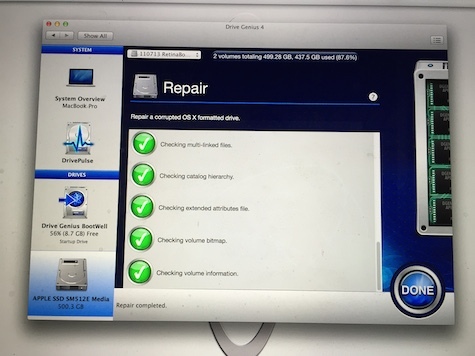 Drive Genius 4 (abbreviated as DG4) has Macintosh repair utilities that can be used individually or one after another, as needed, that are more powerful than Apple’s Disk Utility. Typically you use them one at a time to solve problems and do preventive maintenance. Included are: Secure Erase, Clone, Fix Permissions, Rebuild, Repair, Consistency Check, Physical Check, Active Files, Instant Drive Pulse, Speed, Icon Genius, Find Large Files, Find Duplicates, Defragment, and BootWell, which is being discussed in this article. DG4 looks different — really different. If you have used previous versions, you will be shocked at the interface. If you are new to this combo software you will be perplexed at first. In both usage situations you will soon be familiar with the redesign by Prosoft Engineering. Much more significant than the new look is the lack of a DVD installer. You download DG4 and then boot from an external USB3 BootWell drive to repair your main internal Mac drive, sometimes called a startup volume. The company provides instructions to make a BootWell flash drive, which is what I did. They sell one for only $15, and I recommend buying and using their proprietary unit. Phone support from a U.S. representative is helpful and easy to obtain for this process and everything else in DG4. Hooray for live phone assistance, Prosoft. 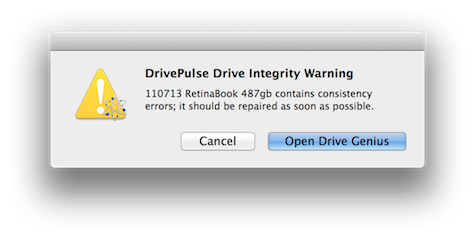 The internal 500GB SSD on my MacBook Pro is nearly full and is starting to generate DrivePulse Drive Integrity Warnings from DG4. They are scary. 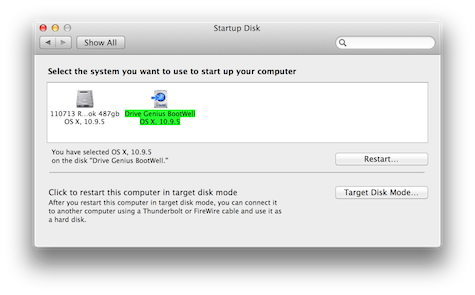 Each time I get one I insert my BootWell USB3 flash drive, use System Preferences to restart into the BootWell, and repair my drive. So far, so good. I have multiple redundant backups just in case. I hope you do also. Yesterday I ran Find Duplicates to locate a few thousand files that can be aliased individually or in groups to free up many gigabytes of precious space on my internal drive. Drive Genius 4 is updated frequently; the current version is 4.02. Update alerts greet you as needed, and the updates are fast and effortless. 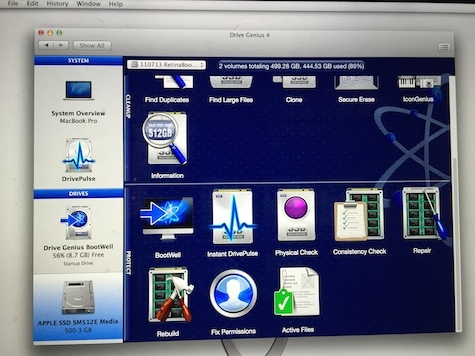 You can use your single license of DG4 on your personal Macs and hard drives for home use. The company representative tells MyMac that Our licensing policy for a single user license is: All your personally owned machines are covered. IT Professional and Enterprise licenses are available at reasonable rates. Prosoft giveth and Prosoft taketh away. Some previous Drive Genius utilities are missing from DG4. The company is open to your suggestions, but don’t expect huge changes overnight. Study the list of features and functions in DG4, and decide if the affordable price is worth your purchase today ahead of time, or tomorrow when your Mac goes #$%^k.